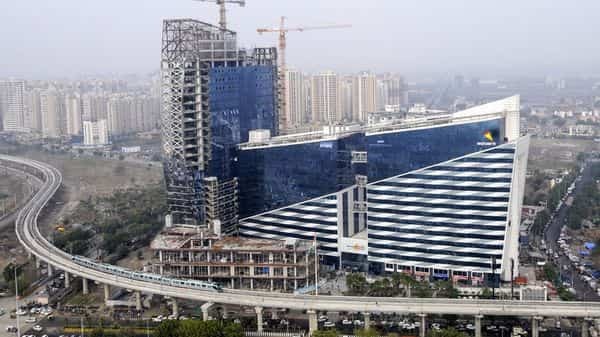 Located in Noida’s Sector 32, the mixed-use real estate project will comprise a shopping mall, offices and branded residences to be built over a three-acre land parcel owned by Logix Group. This is the first of the many projects that both the companies plan to develop in the future, Mehta said. “It was initially planned for developing a hotel and residences. Since we came on board, we have changed the strategy a little bit. We added retail and office components instead of hotel,” Mehta said. The retail space in the project, spread over 1.5 million sq.ft, will be connected to an existing mall—Logix City Centre—located adjacent to the project. The office segment has a development potential of 1.5 million sq.ft. The residential segment—comprising 200 studio and 1 BHK apartment—will be spread over 200 2 million sq. ft. Each of these flats, sized between 800 sq. ft and 1200 sq. ft, will cost₹1.5 crore and above. “In Tribeca, we have found the right partner to execute our vision of providing superior product and consumer experience to the market. This tie-up is in line with our strategy to collaborate with expert product developers for our marquee land parcels,” said Shakti Nath, founder of Logix Group said in a statement.